I believe there are a lot of silly myths about love floating around that causes a lot of confusion about what it really is and what it looks like. When I hear how some of my girlfriends talk about it, I think, well no wonder you’re still single. I’m dedicating Mondays, to busting myths about love that have and can possibly keep you chronically single. Yes, love is a natural emotion. We are all born with the capacity to love. Babies crave it from even inside of the womb and as humans, we continually seek it out in all forms, whether familial, through friendships, especially romantic. The folly in our thinking about love is the idea that knowing how to love is as natural as breathing. You don’t have to think about it or work on it. It just is. It’s a beautiful notion, but is that really the case? My favorite poem about love comes from the Bible, 1 Corinthians 13:4-8 that says, Love is patient, love is kind. It does not envy, it does not boast, it is not proud. It does not dishonor others, it is not self-seeking, it is not easily angered, it keeps no record of wrongs. Love does not delight in evil but rejoices with the truth. It always protects, always trusts, always hopes, always perseveres. Perhaps for some, the act of love, or loving comes easy, not because of an innate ability, but because it was a part of their environment. As a child, your parents foster the environment you will come to know as your normal and if physical affection, terms of endearment or even actions of care and consideration aren’t promoted, then where do you learn how to do that? When you consider that not all children are born in an environment that is safe, that some are born into abuse, neglect, where they live in fear and rejection, it’s not impossible to surmise that these children will grow up repeating those patterns, placing themselves in a position to continue the cycle because it’s all they know. So those men that abuse, the women that stay with them and the children that bully others because they don’t know how else to channel their feelings aren’t without the desire to love, they just don’t know how to. Somebody had to teach them as we all have been taught. Where does a woman learn to even be okay with that kind of love? It’s simple. Her rDNA(relationship and dating natural ability) is one that is programmed to seek love in the only way she knows how. 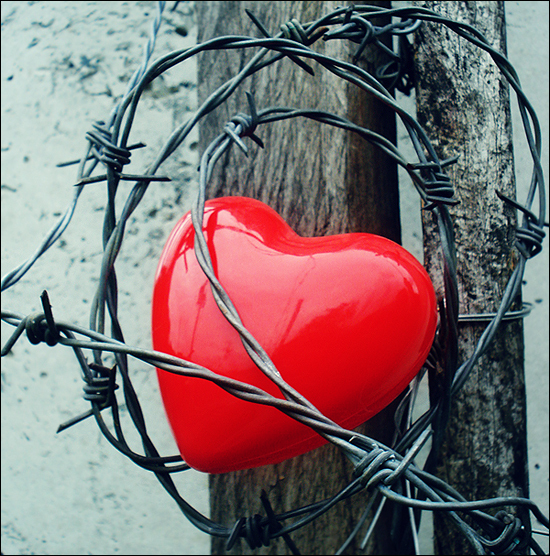 Love hurts, love is angry, love is not be trusted and does not protect. Sheryl Cates, CEO of the National Domestic Violence Hotline and theNational Teen Dating Abuse Helpline, says that abuse is “a learned behavior…It can be unlearned…But it’s about a belief system where you think, ‘I have the right to hurt someone I love.’ I believe Love works in the same manner. Grow up in a home where love is showered and you grow up giving love showers. Abuse works just the same. These are of course extreme degrees, I’m sure there are plenty of examples of balance, but not enough that we can find them all around us. As for ourselves, if you have never learned how to love, think about the many times you may have sabotaged a relationship that could have worked. Were you getting the emotional support you needed or did you want something else that you thought was love? Think about your childhood and the relationships your parents had with each other and the relationship they had with you. What elements would you take from those memories that were good, and what would you rather let go of? Write them down. If you can’t find enough good, then it’s probably time to for a rDNA check up. (Will definitely include this somewhere in the book.) What are some things you think you need to change about the way you love?